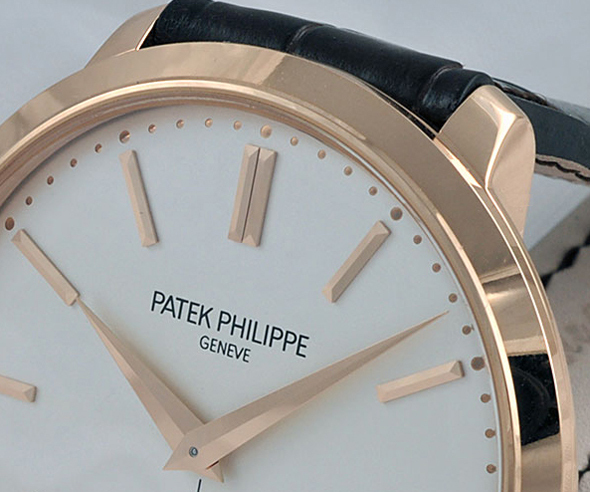 This new Calatrava 5123 from Patek Philippe is a "solo tempo" with interesting details. 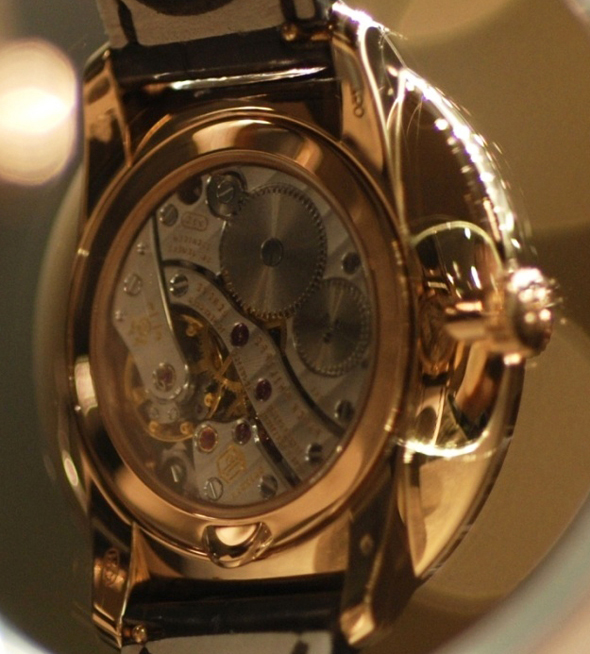 Thanks to uncommon proportions, this timepiece shows some originality. The 38mm case is relatively small according to the current trends but it appears much larger because of the very small lugs and the narrow strap. Silvery opaline dial, faceted sword hands and gold applied hour markers are in the purest Patek Philippe style. The small seconds dial is just a cross above the six o'clock. 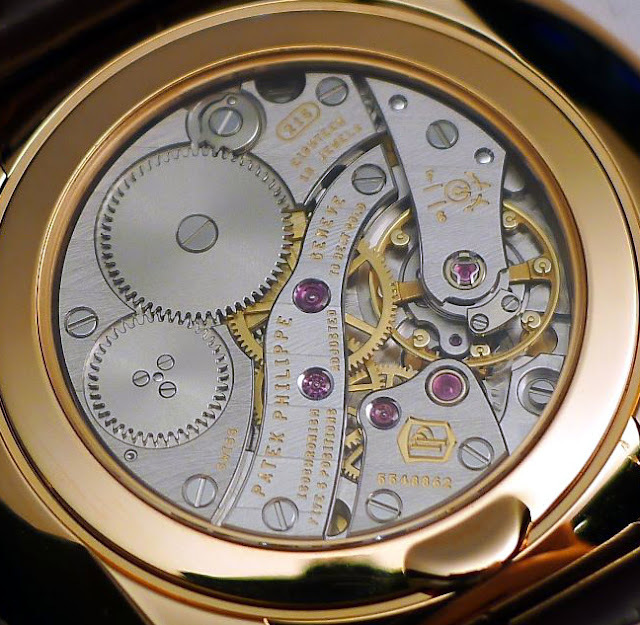 The impeccably finished and manually wound 215 calibre is visible through the sapphire-crystal case back. 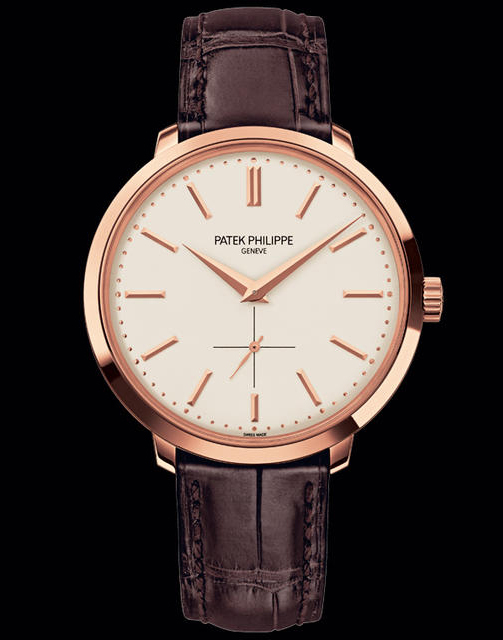 The new Calatrava 5123 from Patek Philippe is a "solo tempo" with interesting details. Thanks to uncommon proportions, this timepiece shows some originality. The 38mm case is relatively small according to the current trends but it appears much larger because of the very small lugs and the narrow strap.